For many of our furry friends mealtime is the best time of the day, but for some dog owners getting their pooch to eat can be a real chore. From fussy eaters to passionate dogs that protect their food, we have five top tips to take the stress out of suppertime. Some dogs will constantly act like they are starving and will gobble up all their food in record time. Try dividing their food into two or three meals, they will be getting the same amount of food but will feel like they’re getting more. Eating fast in large dogs can be dangerous, slow them down by using a ‘slow feeder’ bowl or toys. If your dog is a chewer, use a hard-plastic bowl as some feeders have rubber bottoms that can be chewed off and ingested. Along with eating too fast, the position of a dog’s neck whilst eating can cause problems such as bloating. Try a raised feeder to ease the strain on your dog’s neck and avoid an upset tummy. Do you free feed your dog and their food is left untouched all day? This can be a big problem especially for small breeds. 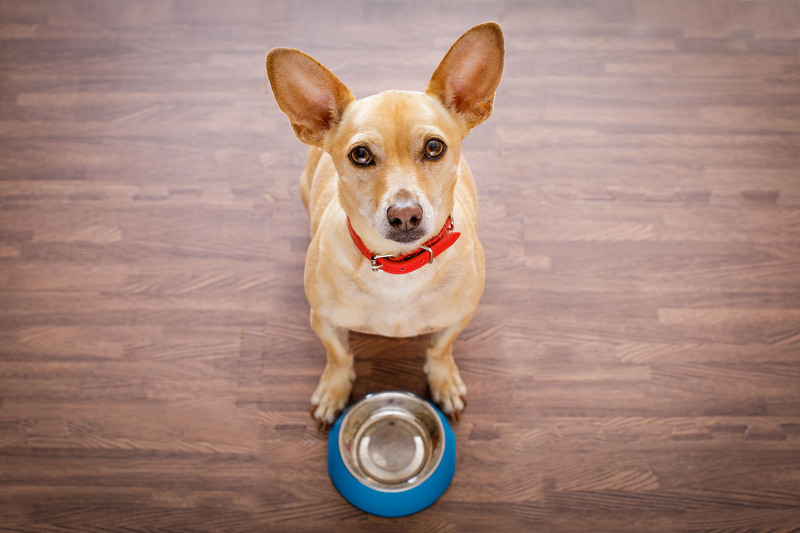 Instead, give your pooch 10 – 20 minutes to eat their food. If they choose not to eat, remove their food and wait until their next meal. The result, your dog will eat sooner, knowing that their food won’t be there to pick from throughout the day. Now that you have feeding sorted, there’s just one question to answer – what to feed your furry connoisseur? The name says it all, Meatiful sausages are the perfect complete food for dogs that is 100% natural, 100% gluten free and 100% delicious. Meatiful is made using cuts of prime meat to create a high quality single sourced protein food. Each recipe is tasted-tested by our in-house food experts to ensure optimum flavour and slow releasing energy for all breeds. For more feeding advice or information on our products visit us on Facebook or Instagram.